This figure is the spitting image of Mothra in her larva form. 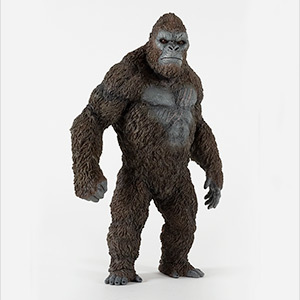 It has a fantastic paint job and is a great figure for diversifying your collection. 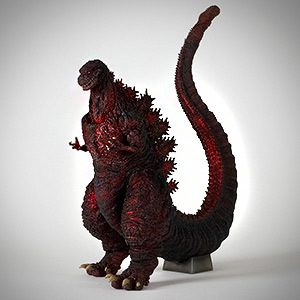 This figure was released three times. The first release used the standard harder vinyl. There was then a limited re-issue using a softer “squooshy” vinyl. Finally, X-Plus reissued it yet again, this time for the North American market (Diamond Reissue). Although this review covers all of the versions, most of the photos here feature the squishy version. The X-Plus Mothra 1961 looks like it crawled right out of the movie. Most of the find detail is in the head since most of the larva is composed simply of ringed segments. Subtle cracks and dents, along with the find paint job, take care of that. The front end seams accurately scuplpted with lots of creases and folds behind the head. The lower face has a fine, bumpy texture which runs all the way to the tail. The beak is hard plastic and holds hinged mandibles which you can open and close. On the particular figure which I own, the hingles aren’t completely in place, but they are so snug that they still stay in place. If you grub — I mean grab — this figure you’ll want to take care you don’t loose one of the pieces. There is a hair-like line draping along both sides where its belly leaves the ground. X-Plus did a pretty good job cutting a lot of tiny little lines to simulate this. The paint job is excellent. Especially when you consider the fact that a lot of it doesn’t have corresponding geometry in the sculpt. The creases between each segment of Mothra’s body have feathered shading like it was airbrushed; and done very well, too. Spots and speckles were also softly added over the entire body. And, check this out: X-Plus actually took the time to replicate near-precise spot locations on the head! I don’t have a ton of 1961 Mothra larva photos around, but from what I’ve seen, they took care to replicate how the spots look on the front of the head between the eyes. There’s also a three-spot pattern behind Mothra’s left eye which was also replicated. Holy Attention-to-Detail, Batman! And they eyes! It must have taken a very steady heand to perfectly fill the tiny eyes (with a diameter of about only one sixteenth of an inch) with a pale cyan which jump out and almost glow against the dark browns and tans that surround it. On a slightly sour note: There is a bit of a paint mismatch between the front and rear sections of my “squishy” reissue where they were glued together. The browns on the front half are slighly warmer than the less saturated browns on the rear. I would imagine this is because each half was painted at a different station and the paint mixtures weren’t completely identical. I’ve also noticed this on a couple other X-Plus figures I have. But honestly, I didn’t even notice it until I took close-up photos for this review. As for my Diamond Reissue: the paint on the separate pieces match perfectly. Although, the “freckles” have harder edges as opposed to the softer spots on the 2012 version. Articulation on X-Plus vinyls is not a common. 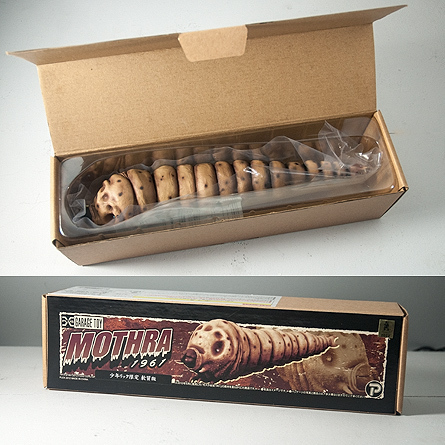 The 30cm Series Mothra Larva, though, is one of the exceptions, albeit in a small way. It has hinged mandibles which can be opened and closed. They are rather tight on my new Diamond Reissue and for that I’m glad because one of the mandibles on my older soft version has come out of place and it’s been impossible for me to pop the post back in place. So, be careful with these little pieces! Mothra’s main body is in three pieces and each has a joint which can be rotated. These joints are not meant to be used for articulation, though. These joints are hidden very well between segments on the body. There isn’t much of a pose. 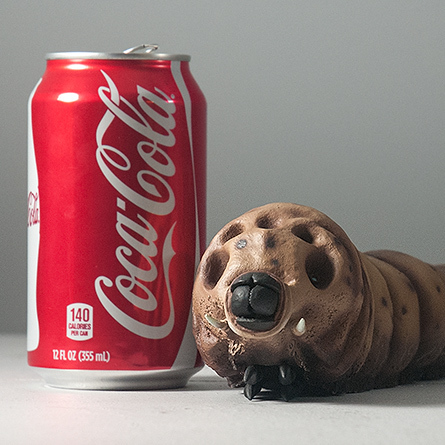 The X-Plus Mothra larva is pretty much a straight figure. Her head turned ever so slightly to the left. Not much to say here in how this gal is going to fit on your shelf as it’s pretty obvious. Mothra is not a hog for space and will easily fit between 2 other figures either perpendiculary or on an angle. But she’s easily overlooked that way. Try to run her parellel to the shelf in front of another figure who isn’t hogging the whole shelf. 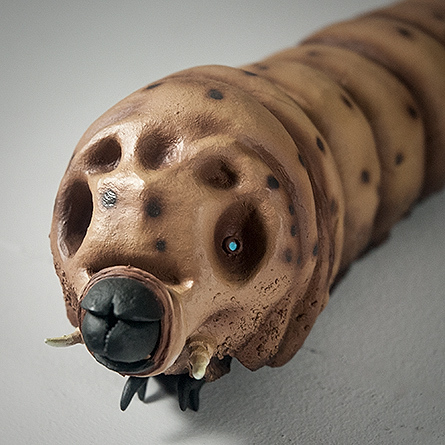 The X-Plus Toho 30cm Series Mothra Larva (1961) is nearly a deadringer for the original beast. The paint job is incredible and the whole figures adds variety to the shelf. 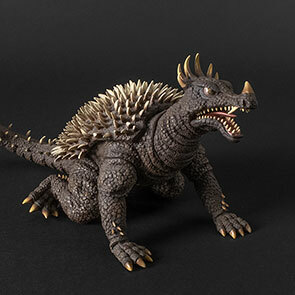 It’s not as exciting as a Godzilla figure, but it should definitely be on the Essentials List. 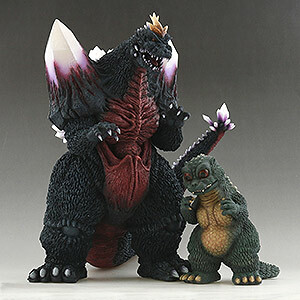 • BrutaZilla’s X-Plus Mothra Larva 1961 Video Review. • X-Plus Mothra Larva Photo Gallery by Lester Wayne Daniels. Great Review! I do not own this (yet)! The attention to detail on this make this Larvae easily the best version of this stage of Mothra! Damn! Now I want this figure…thanks a lot! LOL! 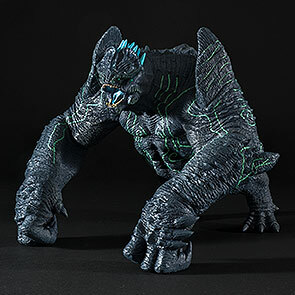 Will this figure ever be availible again? 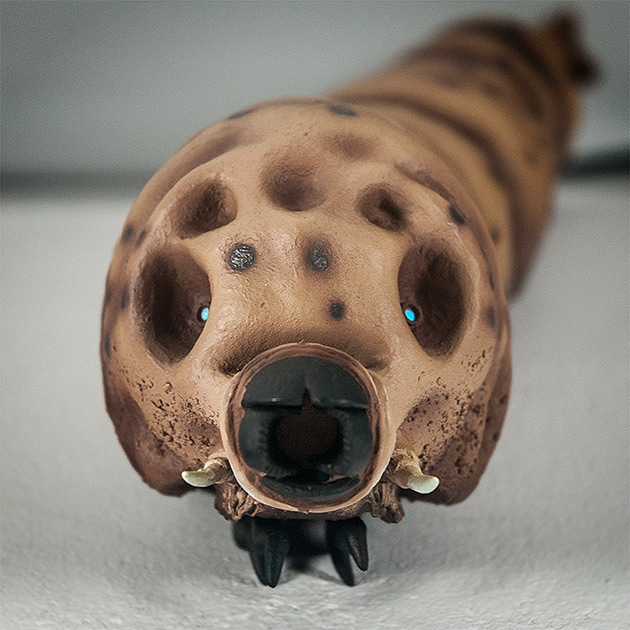 For me it is the most beautiful Mothra larva figure ever and I want one!!!!!!!!!! 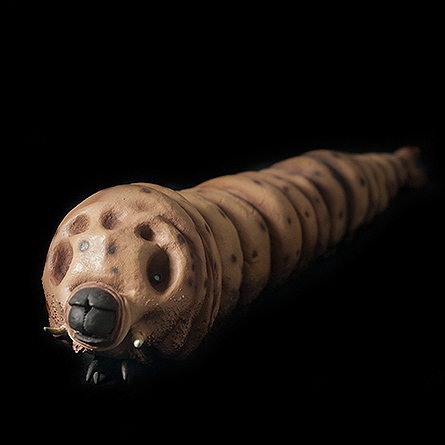 This is the most beautiful Mothra larva figure ever and I want one!!!!!!!!!! !